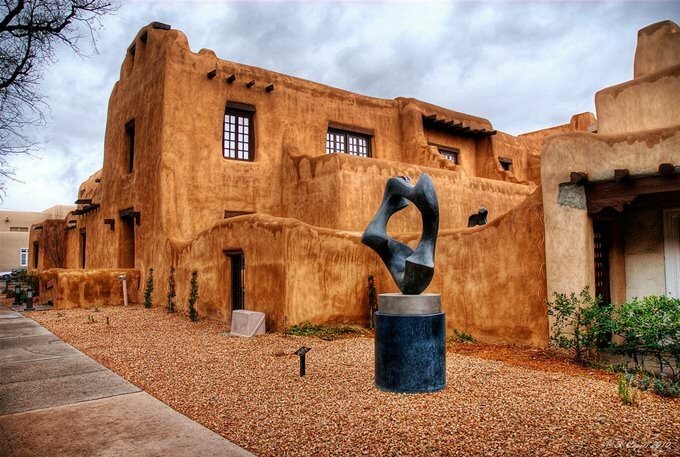 Santa Fe is a city of southern architecture and Spanish culture, which is located in the highlands above the valley of the Rio Grande del Norte. Located in the State of New Mexico, Santa Fe is an important commercial and industrial area, as well as a famous tourist destination. Numerous architectural monuments of the city are guarded thoroughly. The architectural ensemble is represented by ancient churches and buildings made of adobe bricks, numerous galleries and museums. The main square of the city is the location of exhibitions and sale of paintings and works made by artists from the south-west of the United States. Canyon Road Street accommodates over one hundred exhibitions galleries. Opera Theater is a true cultural heritage of Santa Fe, as well as summer festivals of chamber music and Desert Chorale. Other attractions that visitors can enjoy are Governors Palace with ornate spiral staircase, Shidoni Foundry Sculpture Garden, and the monastery of Guadalupe. 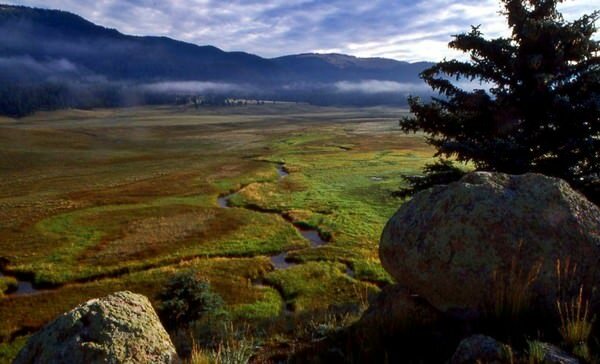 Move to the east from Santa Fe, and you will reach National Forest. Here starts the region that is known as "the land of pueblo" – the place of residence of many ancient tribes. The tribes have left numerous examples of items describing their culture. On the territory of Santa Fe you will find a huge number of historical monuments, which value and importance keep attracting a growing number of tourists to the city. Every district in Santa Fe has its own unique features. Downtown is one of the most interesting in the view of tourists. Here, you'll find many beautiful old houses, built in the style of Pueblo. Many historic buildings are occupied by stores and souvenir shops today. This district is considered the most Mexican in the city. You can really discover plenty of street decorations unusual for the USA. Wooden benches painted in bright colors, colorful signs, original sculptures made of wood and Indian figures in full growth. Interesting sights are found here at every step. 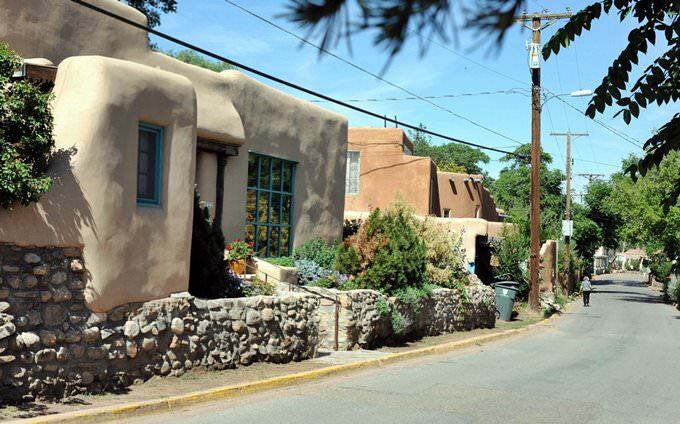 While walking through this picturesque area, you can reach the charming Santa Fe Plaza. A symbolic memorial obelisk decorates its center point. On the square, in the shade of trees, there are comfortable benches and a small stage where street artists often perform. This park has long been chosen by street artists who will pleasantly draw a great portrait for everyone who wishes. In local tents, you can taste popular street food. On one of the historic streets of the city, you can see the beautiful Cathedral of St. Francis of Assisi. It was built in the 19th century and is the city's tallest building from the moment of its completion. The architectural design of the cathedral is a mixture of different styles, typical for both European countries and the countries of South America. Several interesting monuments are situated around. Carved images on the entrance doors of the cathedral are a real work of art. Magnificent interior decoration will make you astonished, as well. Colorful stained-glass windows, high columns, and art paintings on the walls and ceiling have been preserved there. The most exciting historical monument is the old Loretto chapel. Many old works of art and religious artifacts are kept in its walls. The main value of the chapel is a spiral staircase. The author of this project remains unknown. The uniqueness of this ladder is that it makes two precise 360-degree turns. Even more incredible is the fact that no single nail has been used during the construction of this staircase. 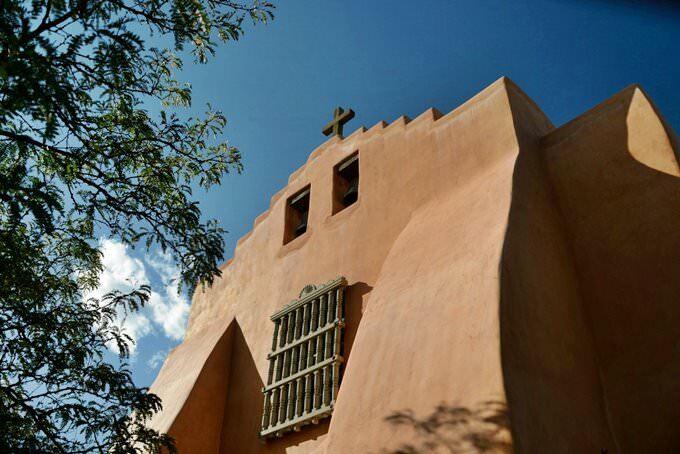 This guide to iconic landmarks and sights of Santa Fe is protected by the copyright law. You can re-publish this content with mandatory attribution: direct and active hyperlink to www.orangesmile.com. Check on the map: Distance from Santa Fe center - 51.6 km. 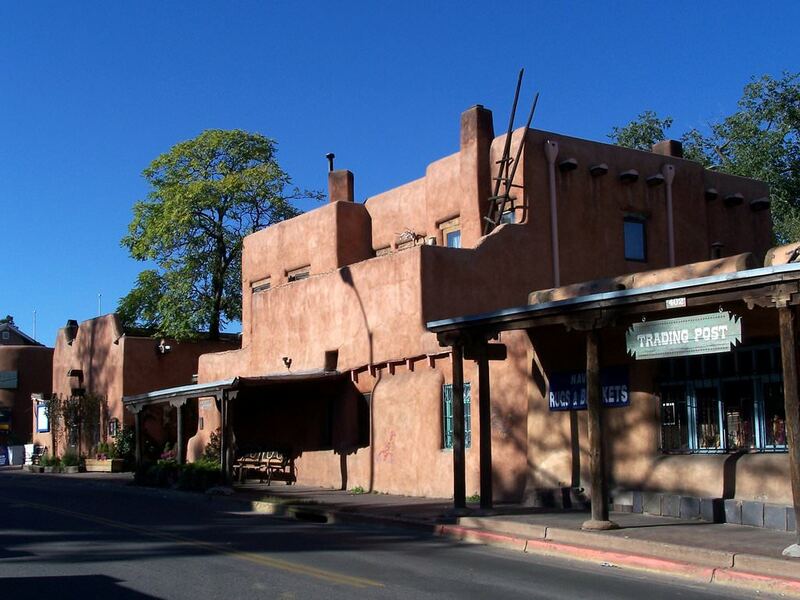 All about Santa Fe, USA - sightseeings, attractions, touristic spots, architecture, history, culture and cuisine. Prepare your trip together with OrangeSmile.com - find out the 'must see' things in Santa Fe, which places to visit, which excursions to take, where the breathtaking views are waiting for you. Planning your trip with this travel guide will help your to get the most out of Santa Fe in few days.